Oh yes! Are there three of them? Are they all yours? Are they…… triplets? They’re not, are they? Are they identical? (One is obviously a boy) Are they natural? At least what you won’t be getting is” are you their grandmother?”. Yes. Normally positive and lovely things from nice people. But….. We were having lunch with our twin boys who were about 4 months at the time. I was feeding one while my husband ate his lunch. The other one was in the pushchair with the hood up. A lady next to me asked how old the baby was, “4 months” I said. “And how old is the one in the pushchair?” “Also 4 months, they’re twins” At this point she pulled a face like she was eating rotten food and said “Eeuurgghh, twins, how do you cope? ?” !!!!! Yes! Triplet momma here. The question are way to personal from how I conceived, to breast feeding to just plain mind blowing. “Are they triplets? Yes. “Are they all yours?…… Um y..e..s…? I was followed to my car by a man who was yelling personal conception questions at a Walmart check out, to cashiers down from me. He was determined to somehow prove my babies where not spontaneous and publicly argued that (according to his small mind) I had “done something unnatural” to have them. I left in tears and then in fear of our safety. My groceries regularly defrost before I can get out of the store and people watch and stare as I struggle to get doors open. There are the very few positive comments and kind understanding people out there… but we need more!!! Thanks for leaving a comment, and a big high 5 to another legend of a triplet momma! Are the are they natural? is usually one of the first questions, hinting that if they are ivf it’s our own fault, like we must living in somekind of self made nightmare. Our girls were not, and telling strangers they were spontaneous can shock them from opening their mouths any further. I find it odd that people have think they have the right to be so personal with a stranger. 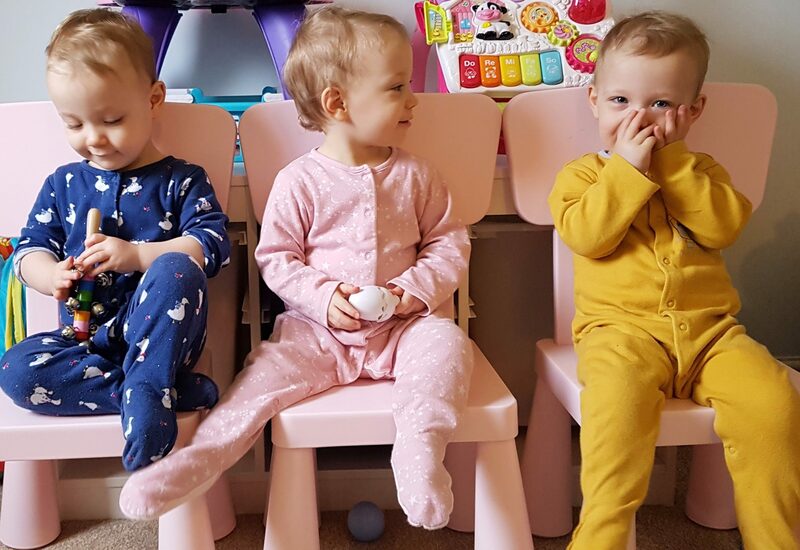 There have been many times my wife has been told having triplets is a worst nightmare. It may be for them. I think the the fear mongering and negative comments are just a reflection of others bitterness and fear around their own parenting experiences. It’s just a shame they feel the need to project. Next Next post: From self destruction to parenthood – is emotional stability really possible?